The Newberry College Department of Nursing announced that its fall 2018 graduates have achieved a 100 percent first-time passage rate on the NCLEX-RN exam, the second consecutive Newberry Nursing cohort to earn this accomplishment. The NCLEX-RN is a standardized exam utilized by the South Carolina Board of Nursing to assess the readiness of new nursing graduates to enter the nursing profession. The state Board of Nursing uses the first-timepass rate as the metric its assessment of nursing programs. In fall 2018 semester, Newberry partnered with ATI Nursing Education, a nationally recognized test preparation expert, to better familiarize students with the unique testing environment of the NCLEX-RN exam and to increase the frequency of subject matter reviews and refocus those reviews on helping students apply subject matter to their cumulative nursing knowledge. 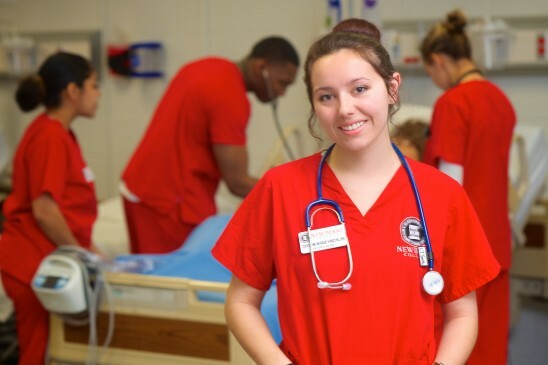 Although Nursing is a relatively new program at Newberry College (the first class started in 2009), it has proven to be an enormously popular program that has operated at maximum capacity for several years. In 2016, Newberry College expanded its pre-licensure Nursing program to increase by one third the number of candidates admitted to the major. The program expanded from 24 students to 32 students admitted per year and began offering program starts in both fall and spring semesters. Building on the success of its traditional program, the RN-to-BSN Completion program was among the first adult degree-completion programs the College offered when it launched Newberry Online in 2017. The Nursing program also is one of the focus areas of the College’s recent fundraising initiatives, with construction of a new Nursing building a top priority of Newberry’s Scaling the Summit comprehensive campaign.